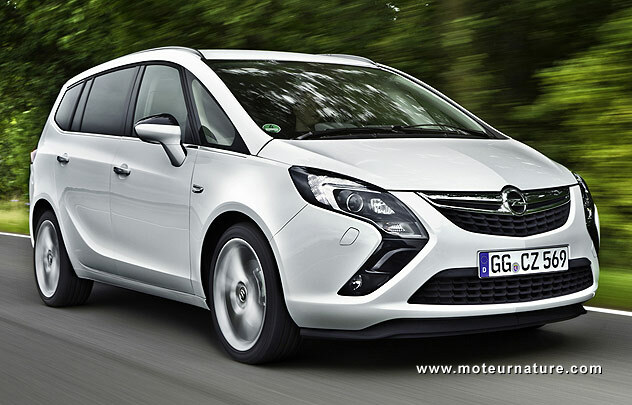 The third generation Zafira is larger than ever before, but Americans would still see it as small. It was introduced at the Frankfurt motor show last September, it’s about the same size as the original Chrysler minivan, the one from the 80’s. That’s big enough for most families. The Zafira was launched with a choice of gas and diesel engines, today’s news is a CNG (Compressed Natural Gas) model. Americans are not familiar yet with natural gas as a fuel, but they should. First of all because there’s plenty of the stuff within the continental U.S. second because it’s a very clean burning fuel. The Honda Civic is the only car running on CNG available in America and it’s the cleanest car in the country. 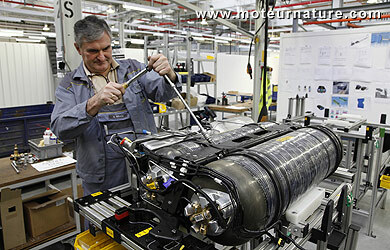 Opel engineers chose a turbocharged engine to take advantage of the 130-octane rating of CNG. The 1.6-liter inline four makes 150-hp, it gets its fuel from carbon-fiber tanks. Those are lighter than steel ones, they’re also significantly smaller. 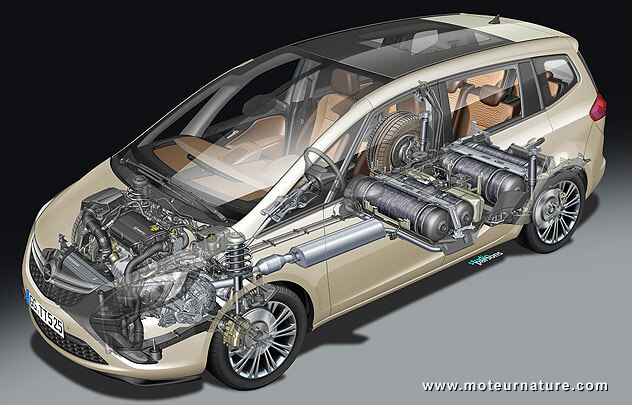 The CNG Zafira can store 25-kg of natural gas (55-lbs), it uses 4.7 kilograms of natural gas per 100 kilometers in the European combined cycle. That’s about 6 miles for one pound of natural gas and that is nothing but excellent. CO2 emissions are lower than gas or diesel, and range is a satisfying 329 miles.